Softshell jackets have gained a huge amount of popularity due to their versatility, as they are able to give you a layer of warmth while still remaining comfortable and lightweight. The best softshell jacket will be able to be breathable while still giving you protection from the rain and wind. In this guide we will help you by explaining all the key features and we have also completed softshell jacket reviews to show you ten of the best products that are on the market. Once you have read through this guide, you’ll know exactly what you want. 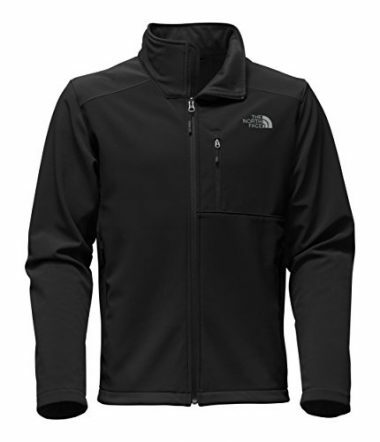 This is a top rated waterproof softshell jacket from The North Face and one of the best products on the market, as it ticks all the boxes when it comes to what makes a great soft shell jacket. It’s available in a wide variety of different colors and sizes so you’ll be able to get the perfect fit and style for you. It is made from polyester and has a zipped closure. The jacket is able to block any wind as it is 100% windproof. The jacket is able to be machine washed with the right instructions which makes it easy to clean, which adds to the product’s ease of use. The jacket will be able to give you a great layer of warmth too as it has a fleece backer and can be used as an exterior shell or a standalone jacket. It has a napoleon chest pocket where you will be able to store your valuable items and adjustable velcro cuffs for an even greater fit. Condor are another company who have produced a highly rated jacket which has a long list of great reviews from those who have worn it. 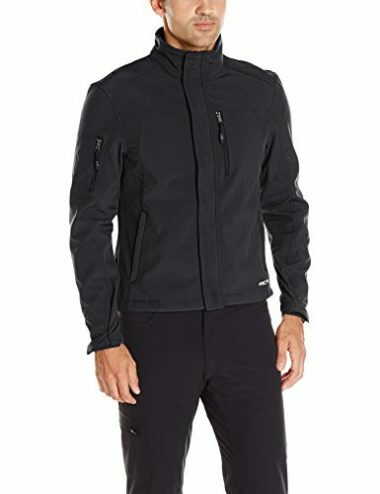 It’s available in four different colors which all look very stylish, which make this one of the most desirable mens softshell jackets out there. The jackets outer layer is made from polyester which is a high-density fabric and elastic, so is able to give you a great level of comfort while you are wearing it. Beneath that is a breathable membrane so the jacket will remain light while you are wearing it which is going to be able to add to your comfort. The lightweight softshell jacket has a few pocket options over the chest as well as pockets on the arms too, which will be able to give you a space to store your valuable items. The jacket’s technology will be able to wick away moisture, prevent any water from passing through and circulate your body heat at the same time. Columbia are a company which has a great reputation for producing high-quality outdoor gear and this soft shell rain jacket is no exception. The jacket is water resistant which will be able to give you that protection from the rain and it is wind resistant too, which will keep you warm even in stormy weather. It’s available in a wide range of different colors which gives you plenty of choices and it is able to be machine washed for easy care. The jacket has two hand zippered pockets with a zipped chest pocket too and a high neck which will be able to give your neck further protection from the wind. The jacket has a zipped closure system and will be able to be adjusted to give you different levels of warmth. It’s made from polyester and this is a soft and easy to use jacket which will look great when it’s on and give you all the protection that you’re looking for. 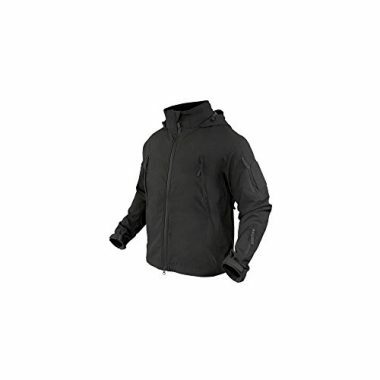 This is one of the warmest softshell jackets that are out there as it will be able to give you a strategic insulation where you need it with more placed over your body to keep your vitals warm. 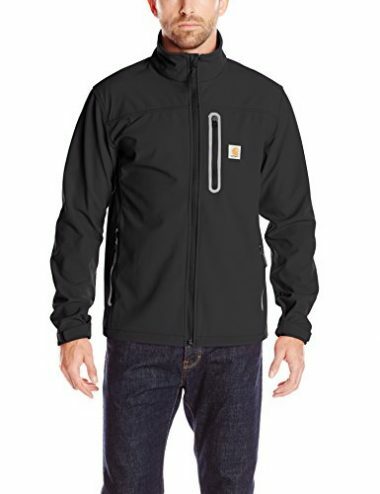 It adds to the jacket having an overall high level of comfort, even in harsh conditions. The jacket is made from a blend of cotton and polyester which will give you the best of both worlds in terms of materials. The materials of the jacket will be able to repel any water splashes while still being breathable and light in weight. 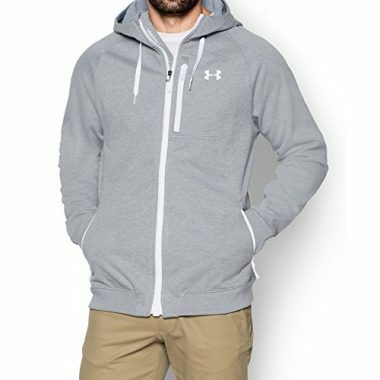 One of the best features of this product is that is has a thermo-conductive inner coating which will be able to absorb and retain body heat which will keep you warm even when temperatures drop. This is a stylish looking jacket which comes in a range of brilliant colors. 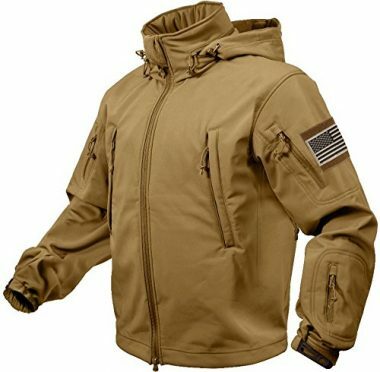 This is a jacket which takes a slightly different take when it comes to materials as it is made from ripstop nylon which will ensure that it is light in weight but also that it is very durable too and able to withstand any potential ripping or abrasions that can happen when you are out there camping or backpacking. The softshell jacket is ideal for numerous different types of activities such as hiking and climbing and it will work well even when you are doing an intense amount of activity. One great feature of this jacket is that it has zippered handwarmer pockets which will be able to give you that added warmth when you need it. The outer material is waterproof so it will be able to protect you from any rain which may happen and even though it is waterproof, the fabric will remain breathable. It also features a zippered chest pocket which will give you easy access to storage and lycra-bound cuffs which have a drawcord hem. Rothco have produced a great and very useful jacket which has a great range of features and extras. It comes in various natural colors which look great and enough sizes to make sure that everyone is catered for. It’s made from polyester which will ensure that it is light and durable. One unique feature of this jacket is that it comes with American flag patches for either arm which is a nice touch. The outer shell of the jacket is completely waterproof so you can be assured that you’re going to get a great level of protection from the rain and wind. Inside the jacket it has a fleece liner which will keep you warm while still being lightweight and breathable. It will also work to wick away the moisture that is sitting on your skin too which will make you more comfortable. It has a concealed detachable hood and a vent zipper under each arm. 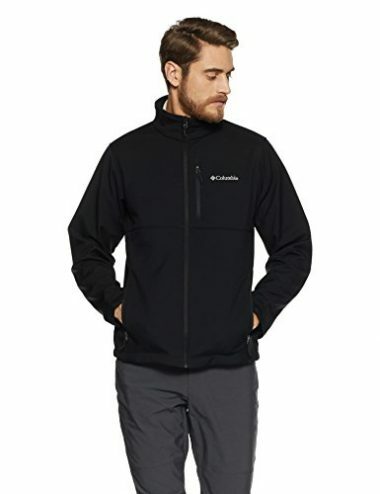 This jacket has a large amount of stretch making it perfect for a hiking trip. It gets it stretch from the 10% of spandex which is in the material with the rest of the jacket being made out of nylon, which will ensure that it is lightweight and durable. It comes in two different colors of either bright orange or black depending on your preference. The jacket is machine washable too and therefore very easy to care for after you have come back from whatever adventure you have been on. It features a front zip as well as a vertical zip pocket on the chest where you can store your valuable items and they have reflective strips too so that you can be easily seen. 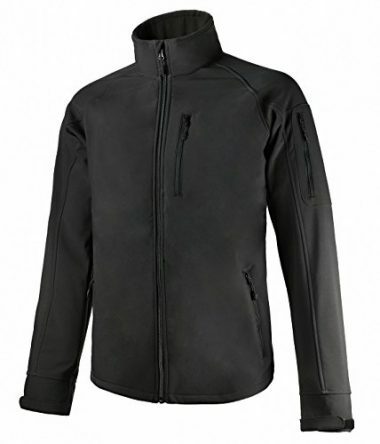 It has a water-repellent finish on the jacket to stop you from getting wet with adjustable hook-and-loop cuffs. This is another stylish jacket, this time from Arctix which would be a great jacket for your next camping trip. This is another product which has an element of spandex to it, at 5%, so you know that it is going to have that element of stretch to the fabric to give you that extra bit of comfort. It is wind resistant and water resistant too, which means that you can be out there doing your favorite activity in even difficult weather. That is aided by the fact that the jacket will be able to give you a very wide range of motion to let you enjoy the benefit of the unrestricted movement. There is a soft, brushed inner face to the jacket which will be able to keep you warm together with zippered handwarmer pockets too for that extra protection. This is another jacket which is machine washable, making it very easy to care for. This softshell jacket from Meirsports has an outer shell which has been made out of polyester which is going to be able to give you a high level of wind resistance as well as being waterproof which make sit ideal for camping and hiking. The jacket is available in either black or grey, so doesn’t have the same level of choice as other jackets. Under the weatherproof shell is a fleece lining which will remain breathable but still be able to hold your body heat close to your skin to keep you warm. The jacket actually comes with six different pocket options, including having handwarmer pockets for when your fingers get too cold. It also has one pocket on the chest and one zipper pocket where you will be able to hold your valuable or essential items but there are also two inside mesh pockets which will be able to keep items such as gloves nice and warm. The jacket also has an adjustable cuff and hem for a comfortable fit. 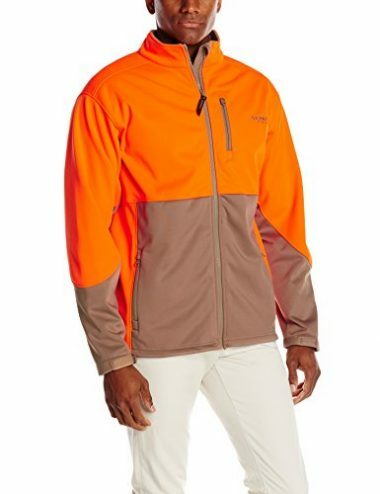 This is a bright and colorful softshell jacket from Yukon which is made from 100% polyester and has all the features that you’d expect from a high-quality jacket. It has the basic essentials you will need as it is both windproof and waterproof so you will be able to get that protection from the weather. It also has a very comfortable fit which is helped by the fact that it features adjustable hook-and-loop wrist cuffs with a micro-fleece lined inner which will help to keep you warm even when the temperature drops and the wind picks. It has a deep zippered front pocket where you will be able to store plenty of items as well as a chest pocket where you will be able to keep your valuables. Overall this is a very good jacket which is highly rated and will look great when you’ve put it on. Waterproofing is an important part of any outdoor clothing but some offer a lot more protection than others. With softshell jackets they are generally not designed to be able to cope with the harshest of environments but should still be able to offer you a good amount of protection. Softshell jackets aren’t going to be the best layer if you are going to be out in hard rain or snow but for all other times they will be able to give you a good layer of protection form those times where you can get caught out in a rain shower where it will help to protect your inner layers and still keep you warm. It’s important to have that layer of protection otherwise a softshell would only really be useful as a mid-layer and not your outer layer. Some products will market themselves as water resistant while others will claim to be waterproof. The difference is that water resistant materials won’t quite offer the same level of protection as a waterproof which won’t let any water in at all. If you think that you are going to be in more contact with water then it’s probably a good idea to get yourself a waterproof jacket to get that extra bit of protection. Even the best jackets will have weak points at the zips and neck so full waterproofing is only really available with hardshell jackets. Still, there can be a significant difference in what the softshell jackets can offer so it’s an important point to check. In terms of weather, you also need to worry about wind resistance too which is a crucial part of staying warm. Wind is able to whip away the layer of body heat on the surface of your skin which keeps you warm and if it does, it can lead you feeling considerably colder as your skin gets exposed to the cold air. Having wind resistance is a crucial part of keeping your body warm and protecting yourself from the weather. While softshell jackets aren’t designed to give you the ultimate protection from the weather, it makes sense to buy one which is going to be able to give you the maximum protection possible. They are more comfortable than other jackets types and getting one with a high level of protection will mean that you can wait a little longer before turning to a hardshell jacket. 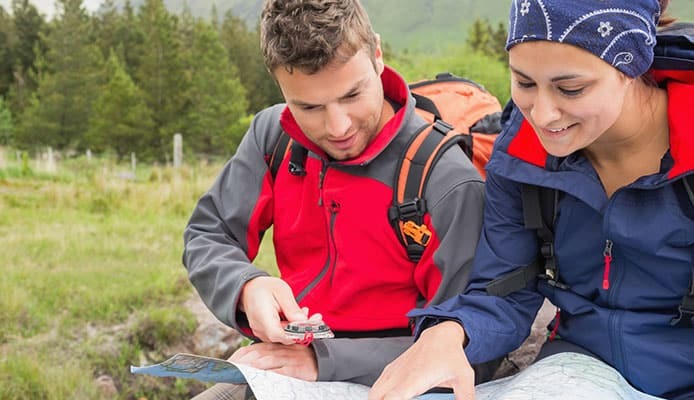 When you are doing any form of outdoor activity, it’s important that you consider the layers that you are going to wear and how they are going to affect your enjoyment and comfort when you are out there in the open air. This becomes even more important if you are going to be in difficult conditions where you need extra protection. Those difficult conditions can come in the form of heavy precipitation in the form of rain and snow or it could be that you are going to be in freezing conditions where body warmth is going to be vital. Depending on how harsh these conditions are, a softshell might be ideal as either your top layer or another mid layer. 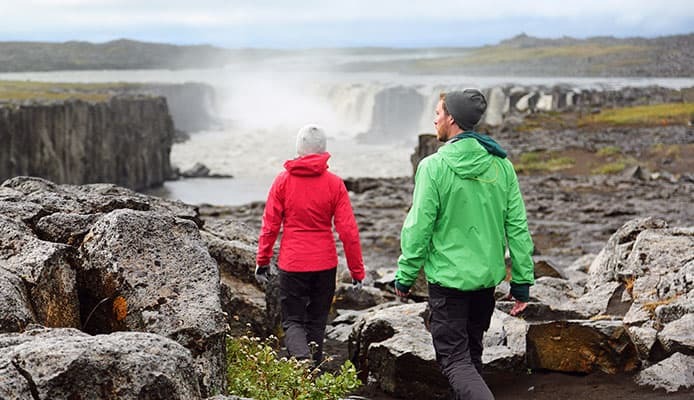 If you are going to be out hiking in somewhere that you know only has the occasional rain shower and is never too cold then these are the types of conditions where wearing a softshell is really advantageous, as the extra mobility that it gives you will give you a high level of comfort and allow you to enjoy your activity even more. In terms of where a softshell comes in with situations like these is that it’s going to be ideal to have a base layer next to your skin, a mid layer over that which will help to give you warmth and then you would be able to wear your softshell jacket as the third top layer. Everyone has their own layering preferences though so it could be that you want to change this up slightly. This type of layering system would also be ideal for most skiing conditions where you will be having a high level of exertion which is helping to keep your body warm while also being able to enjoy the high level of mobility that can come from using a softshell jacket. If you are backpacking outdoors on a hiking trip and conditions got worse, whether that be the temperatures becoming freezing or the rain coming down hard, then that would be a good time to pick up a hardshell jacket and use that as the top layer instead. Having a high-quality softshell jacket would mean only having to do that in the worst conditions. The materials that softshell jackets are made out of aren’t particularly waterproof themselves which means that they need to be treated in order to give you the level of protection that you are looking for. In order to apply this treatment, chemicals are added to the material during the manufacturing process and these materials are known as DWR. This chemical is what can make the difference between you being soaked wet through or able to resist and rain or other water which might come your way. This chemical though unfortunately isn’t indestructible and even though it will be able to last for a long time, it does start to fade away over time and therefore reducing the amount of weather protection that you have. This can be caused by the general usage of the jacket but mainly by the exposure it can have to the sun and also the jacket being machine washed too. All these factors combine to slowly deteriorate the DWR and therefore make your jacket a lot less useful than it used to be. You may be thinking at this stage that it’s time to throw away your jacket and get a new one but all is not lost. You are actually able to buy DWP repair kits which will be able to help restore your jacket back a lot closer to its former glory. This is unlikely to be quite as effective as when you first got it but it could help vastly improve the water resistance of your jacket. It’s not an expensive product and it’s best to get ahead of the curve in terms of this treatment and do it once a year to help keep up the water resistance, before you actually notice that any changes are happening. That way you can keep your jacket looking new and feeling new and not having to throw it away before you have to. If you’re going to be outdoors then you want to make sure that everything that you have will be able to fit well and be comfortable. I’m sure many people have been there when they have been doing some form of activity in uncomfortable gear. It can make the whole activity unenjoyable and make you regret ever heading out there. Having a great fit is therefore important and one of the most obvious ways of doing that is by buying a quality product which you know is going to be made to the correct dimensions. Amazon is a great place for this as many products will not only have the user rating that they have but also a rating of how often the clothing item fit as the consumer expected it would. Poor manufactures often sell products that aren’t well designed so buying from a reputable source is always a good idea. There is one key consideration when it comes to softshell jackets and their fitting though and that is what you are going to be wearing underneath it. If you are a medium size, for example, and are wearing a thick base layer and then a thick fleece then it’s very possible that your usual size would no longer fit you. If you are going to be hiking in a nice climate with just a base layer then this would naturally be much less of an issue. Due to this, you have to bear in mind how you plan to layer up when you are outdoors and how this is going to affect the size that you need. One good idea would be to wear the layers that you plan to wear underneath your softshell before measuring yourself to see how many extra inches that it adds to your size. If you aren’t sure, then it’s probably going to be the best idea to err on the side of caution and opt for a slightly bigger size. It’s important that you get this right otherwise you could be left very disappointed and either having to get a new jacket or having to sacrifice one of the layers that you wanted to wear. While form-fitting jackets may look great on some, you don’t want to sacrifice any of that comfort that a properly fitting softshell jacket will give you. The insulation that you need will depend on the climate that you are going to be in and having a softshell jacket with a thick fleece liner might not always be a good thing. Here you need to have a think about the conditions that you are going to be in and whether or not they are going to change. It could be that you will only use your softshell jacket for hiking in a mild climate or it could be that you will be planning on using it for warm hikes in the summer and maybe skiing trips when it comes to winter. Naturally those are two very different environments so you need to give it a lot of thought about what you need. Not all softshell jackets are built the same when it comes to the level of insulation that they provide. Some will have a fleece liner while others won’t but the assumption generally is that people will want at least a little bit of warmth from their jacket. If you want to be able to wrap up warm then finding a jacket with a good fleece liner is going to be ideal. If you simply want that added protection from the rain and the wind, however, then you will be looking to avoid any jacket with a thick lining of fleece and instead opt for one which has a minimal layer of insulation. You don’t want to overheat or have to worry about carrying your jacket so this is an important factor. It could be though that you are wanting your softshell jacket to be able to perform in a variety of different weather conditions. If this is what you are looking for, then it’s important to note that you can’t take away the fleece lining of a softshell jacket but you can add an extra layer of clothing. This way, you’d be able to just wear your softshell jacket when it’s warmer and then add an extra layer underneath your jacket when it’s colder, that way you’d be able to use the same jacket all year round. Above the standard aspects of a softshell jacket of being able to offer warmth, wind resistance and water resistance are a bunch of additional features which can set a good jacket apart from a great one. Here we look at some of the most important additional features a softshell jacket can have. Handwarmer pockets – These can be a great additional feature when it comes to softshell jackets as there are many times where your hands an get cold and you start to look for that extra bit of warmth. Handwarmer pockets will give you a cozy place in which to place your hands but it’s important that they are zippered up when not in use. Obviously this is not really going to be a requirement if you are planning in wearing gloves. Chest pockets – Chest pockets, as with all outer pockets, will also need to be zipped up when they are not being used to ensure that any water stays out of them. Chest pockets can be very useful as they can give you instant access to valuable or essential items and can prevent you from having to take your backpack off every five minutes. Other pockets – There are also other pockets which can be useful on a softshell jacket too as pockets on the sleeve an also be used to store essential bits of equipment in order to give you that instant access. One great feature that can be found on some jackets are inner mesh pockets which can help to keep items such as gloves warm when they are not in use. Hoods – Whether or not you want a hood or not is going to be up to you but they are obviously a very useful feature of it starts to rain. Some people though may prefer to carry a lightweight rain jacket or poncho for hen it’s raining and therefore won’t require a hood. One useful option is to get a jacket which has a detachable hood as this will give you both options. Adjustments – It’s important to be able to close the sleeves on your jacket in order to keep the cold out and keep you dry at the same time. This is generally done in one of two ways as you can either have a drawcord with which to tighten them or you could also have a hook-and-loop system where you will be able to strap them shut. Either way, they are a very useful feature to have. Zipper pulls – Zips can be notoriously fiddly and awkward to work at the best of time but when your hands are cold or you are wearing gloves they can be a nightmare. Having zipper pulls is a useful way of being able to easily open your zips at all times. These could be done yourself if you wanted but it’s much better if they are a part of the jacket. The style is always going to be an important part of choosing a clothing item and that is no different when it comes to choosing a softshell jacket. It’s quite likely that it is going to be your outermost layer so you want it to be able to look good. All the products on this list have a great look to them but some more than others. Some products seemingly have the appearance of being strictly for outdoor use for camping and hiking but other have a much smarter look and could be used for everyday use as well as your activities. 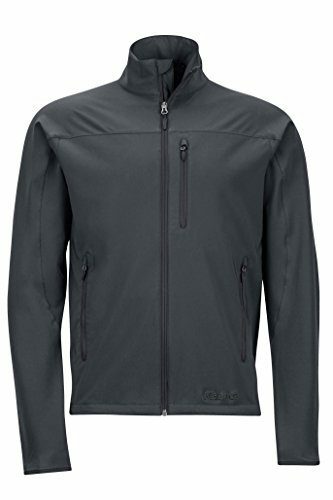 The beauty of a stylish softshell jacket as you would be able to use it every day for things like your commute to work but then also use it for your favorite activity. That way you would be able to get a high amount of use out of your jacket but also look good in the process. There are often a wide variety of colors available with these types of jackets so it’s worth considering before you pick a color what other uses you could potentially have for your jacket and whether or not the color that you were going to choose is going to be able to fit in with that. For outdoor clothing, it can be hard to strike a balance between the primary uses it is meant to achieve and being able to achieve these while still being able to make a jacket that isn’t going to restrict your movement. The importance of this is going to depend on the activity that you are going to be doing. If you are going to be hiking them mobility won’t be quite as important but you’ll still want to be able to freely move around. One of the best features of a softshell jacket is their ability to be well, soft, so they should be able to give you a good level of mobility. If you are going to be doing a more rigorous activity such as climbing or skiing then this becomes even more important as you’ll want to make sure that you are able to move your hands freely above your head and twist your body too. The best jackets will be able to offer this mobility and it’s great to check the user reviews to see what people are saying about the product. The breathability of the jacket is of crucial importance and is one of the key reasons that you should be looking to get a softshell jacket. It would be easy to wonder what is meant by a jacket being breathable but it’s simply the jackets ability to take the water away from your body and allow it to evaporate. When we are sweating, a lot of liquid can be lost from our skin and if that liquid stays within your jacket then it can make for a very uncomfortable experience. Hardshell jackets tend to not have that ability to be breathable as they are often used in colder conditions where there won’t be any sweating. This is not just a key feature when it comes to comfort when it comes to comfort, but also when it comes to safety too. You have probably exercised in the cold and been fairly comfortable but then once you stop, you notice that your sweat becomes incredibly cold, especially when you touch anything such as a car seat. If your jacket isn’t breathable and you stop cardio, then that sweat will sit in the jacket and cold right down, making you very cold in the process, having a softshell jacket that is breathable then is very important to make sure that you are looking out for this feature. Q: What Is A Softshell Jacket? A: Softshell jackets are a good compromise when it comes to your layering system where you want to avoid wearing a hardshell jacket. They will be able to offer you protection from the wind and rain but without restricting your movement or making you overheat. They will be usually worn as part of a layering system where you will be able to place the softshell jacket over warm layers of clothing if required in order to give you whatever insulation that you need. They are also quite stylish too, so are able to be worn around town. Q: When do I need a softshell jacket? A: A softshell jacket is perfect for any situation where you are not going to be in extreme weather conditions such as when it is exceptionally cold or when the conditions are going to be stormy. This covers a vast range of different activities so they are very versatile. If you are going to be in colder climates then you can simply wear more insulated base layers. Softshell jackets are also ideal for those who will be doing activities where a lot of movement is required as they don’t tend to restrict your mobility. Q: What Is The Difference Between Softshell Jacket And Hardshell Jacket? A: As you can imagine, hardshell jackets aren’t actually hard but they tend to be a much thicker and less flexible material than softshell jackets. The reason for this is that they have a much higher resistance to the wind and the rain, and they tend to be more durable too. They will all have a hood too, as they are designed to be worn almost always as your outermost layer. Softshell jackets won’t offer quite the same level of protection but will be able to give you much more mobility and comfort. Q: How Do I Clean My Softshell Jacket? A: Due to the substances that are on the jacket and the material that they are made out of, it’s best to try and avoid machine washing them as much as possible. As they often won’t have much contact with your skin, they won’t get as dirty as other clothes. It’s a good idea to try and handwash and outer marks with soap but if you need to then most of these jackets are going to be able to be thrown into your machine. If you are machine washing them then it’s important to do so with the specific instructions that the manufacturer will be giving you. Softshell jackets can be perfect in the right conditions. It could be that you want protection from the wind and rain while you are on a hike, maybe you think it will be perfect for your fishing trip or it could be that you are planning to go out on a boat and are looking for an additional layer of warmth. Not only are these jackets great for a vast range of different activities but they can also be used for walking around town for everyday use as they will be able to keep you warm and are stylish enough to be able to be worn at all times. They really are a dynamic piece of clothing which can be very useful to have. Choosing the best softshell jacket is important and as we have seen there are a lot of different aspects to consider. You want to ensure that they are going to give you a good level of water and wind resistance and every jacket that you look at should be able to offer you this. Insulation, on the other hand, is a more personal choice depending on the circumstances you’ll be in. After that there are other considerations such as how many layers you plan to have underneath as it might be useful to get a size up if you have thick base layers. Some jackets have more features than others too and you can compare them against each other and of course style can play an important role in the buying process too. Hopefully this guide has been able to answer all of your questions on the advantages of getting a softshell jacket and the features that you need to be looking out for. Once you know the features which are most important to you, then you can choose your new jacket and head out on your adventure.